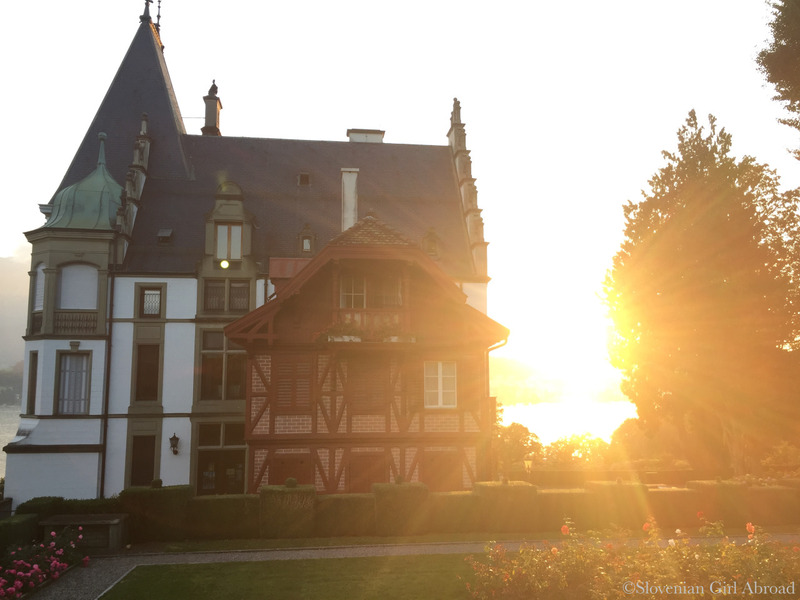 Meggenhorn Castle is a lovely 17th century castle located on the peninsula of Meggen on the northern shore of the Vierwaldstättersee (Lake Lucerne). It is one of my favourite places in Luzern area. The estate has been open for public since 1974 and has no entrance fee. It’s scenic and peaceful spot, popular with the locals, but not yet discovered by the masses of tourists. 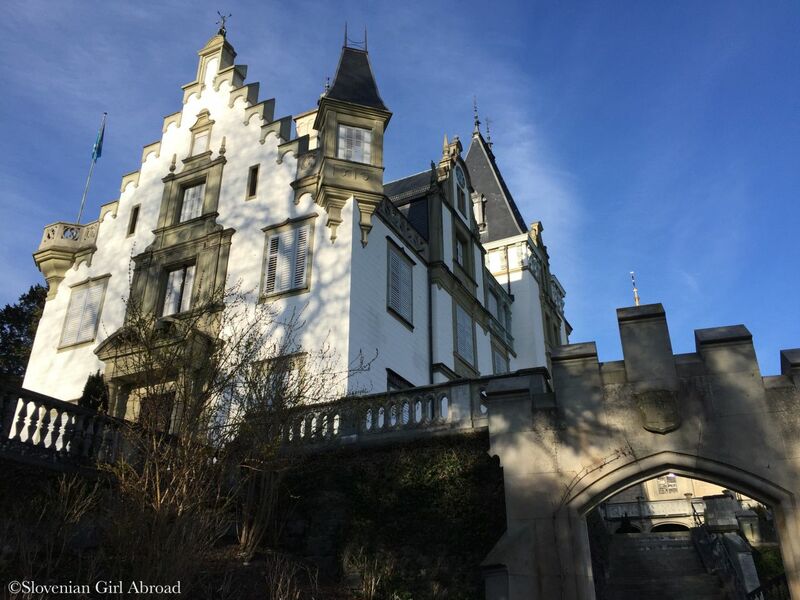 Apart from the lovely Meggenhorn castle, Meggenhorn estate includes small chapel, vineyard, orchard, pastures, garden, a farm, a large adventure playground for kids, and picnic spots, all connected with numerous walking trails. 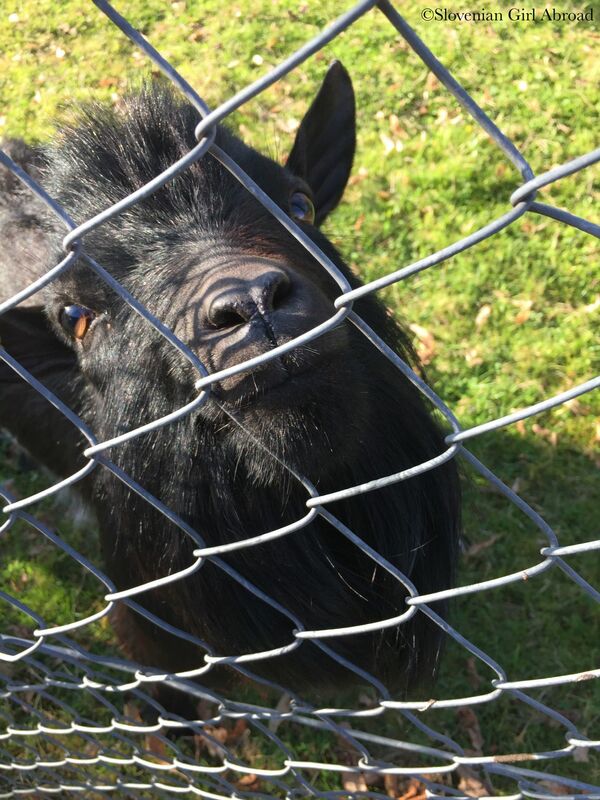 My favourite part of the estate is farm’s open stall where you can observe or even pet some of the domestic animals living there (pigs, cows, chickens, goats etc.). Down by the lake you can find couple of swimming areas. Most of them are small and are not ideal for non-swimmers as the water gets deep quickly, but are perfect if you just want to relax by the lake. Also down by the lake, 5,5 meters high statue of the Christ can be found. Commissioned by the owner of the Meggenhorn estate after she recovered after the nearly fatal disease, was made by local sculptor Josef Vetter. I have been a frequent visitor to Meggenhorn estate. 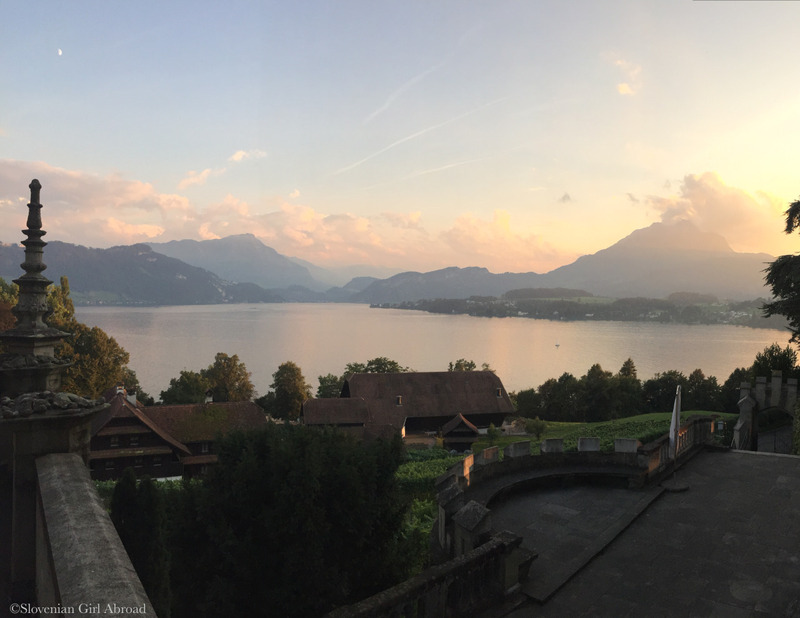 The spectacular views to the lake, city of Lucerne, Mt Rigi, Mt Pilatus and other surrounding mountains never cease to amaze me. Meggenhorn Estate is definitely a place well worth visiting when in Lucerne area. HOW TO GET TO MEGGENHORN CASTLE? By car: From Luzern drive past the Swiss Museum of Transport/Hermitage in direction of Meggen. In first intersection in Meggen turn right and follow the signs to Schloss Meggenhorn. Car drive would take you app. 15 minutes. Free parking spaces are available by the entrance to Meggenhorn estate. By bus: Take the bus N°24 in direction to Meggen. Step down at the bus stop Lerchenbühl. From there walk for app. 15 minutes to reach the Meggenhorn estate. The bus ride would take you app. 25 minutes. 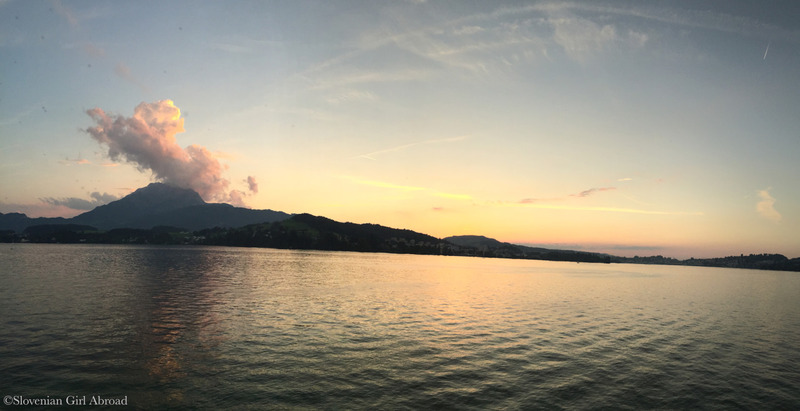 By boat: Reaching Meggenghorn by boat from Luzern is only available during the summer time. If the those options doesn’t suit you, you may even decide to take a walk from Lucerne. That would take app. an hour of your time. How gorgeous! I had no idea this existed. That piglet is sooo cute! We will be in Switzerland in late October 2017. What kind of weather should we expect? Meanwhile, I’ll be reading any of your posts about Zurich, Basel, Lake Lucerne area, Jungfraujoch area, and the Bernina Express. Swiss weather is unpredictable, so it’s hard to tell. Could be good, could be rainy. Rain is actually fairly common in the autumn. The temperatures usually drop, so pack warm winter clothes – especially if you’re planning to go up to the mountains. I’ve been to all the places you’ve mentioned, only thing I haven’t done is Bernina Express. If you have any questions, let me know – here in the comments or on my e-mail: sloveniangirlabroad@gmail.com. I would be happy to help. Indeed it has some amazing views over the lake. 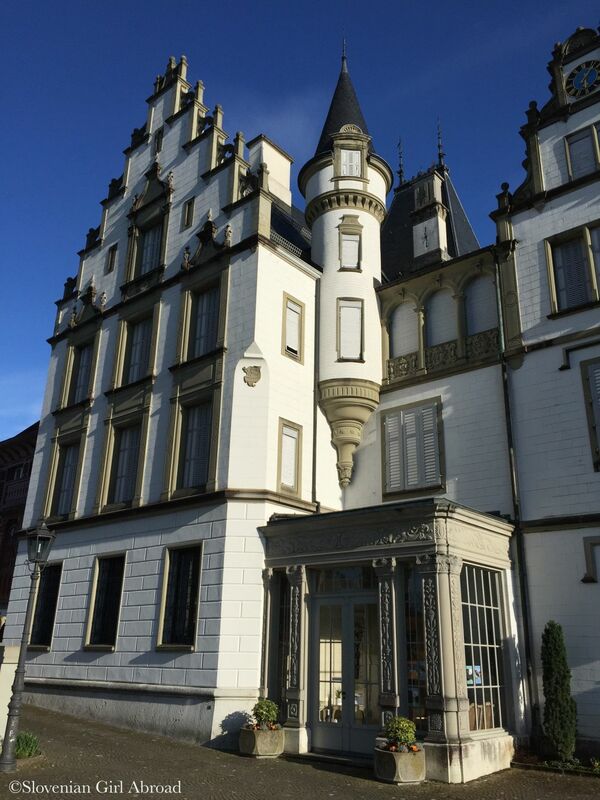 🙂 You’ve passed Meggenhorn castle at your trip to Rigi. Have you seen it?